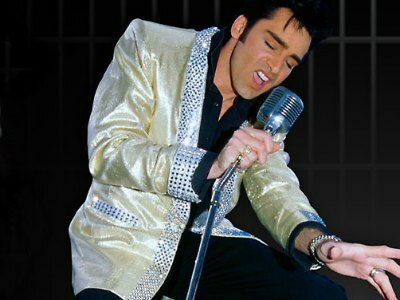 Some of these Las Vegas Elvis shows playing in 2019 are better than the real King...Well maybe we are exaggerating, but just a little bit! Please meet talented Travis Allen, Josh Strickland, Steve Connolly, Tyler James, Tyler Hunter, Pete Vallee, Eddie the Pink Cadillac tour guide, and other Elvis impersonators, performing for you in concert and during city tours! Review: The all-new Las Vegas Elvis show All Shook Up is produced by the city's most prolific producer David Saxe and takes place at the famous V Theater. The show is new, but is already gaining very positive reviews. The premise is simple - An Elvis Presley impersonator, backed up by a live band, performs the most famous hits of the original King. 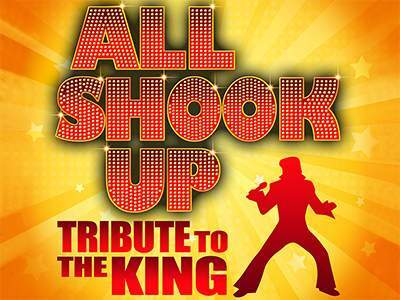 Whether you are a fan of the King or just like rock n' roll, a fun evening with an old-Vegas twist is guaranteed! 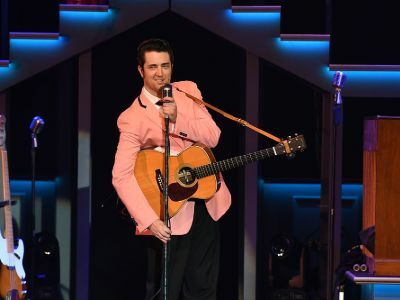 Travis Allen, performing the role of Elvis, was the winner of 2015 Best Impersonator award by Best Of Las Vegas. Review: If you are wondering how the Sin City came to be what it is now - you should see Vegas! The Show! This is a tribute musical show that tells the history of how the city was formed thanks to the world's most incredible performers of the past and the present. The show features 40 dancers and performers, including a Vegas Elvis impersonator, currently played by Josh Strickland. Other iconic singers you will see in this show include The Rat Pack, Tina Turner, Cher and, of course, famous Vegas show girls! 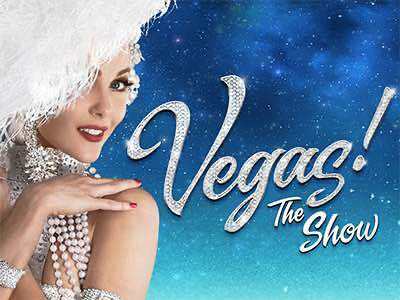 The grandeur of the production, gorgeous costumes and the multitude of talented impersonators make this a must-see variety show in Vegas. Review: Legends in Concerts is almost like visiting a concert with real superstars, only cheaper! The show features the top talented Las Vegas impersonators who resemble the stars they portray in voice and physical appearance and are able to transform into their character so you won't be able to tell the difference. The show is never the same, however among the stars played by Las Vegas impersonators you can expect to see are: Madonna, Elvis Presley (I actually counted 15 Las Vegas Elvis impersonators in the show! ), Britney Spears, Michael Jackson, Lady Gaga and others. A perfect way to spend an evening with your family watching one of the most iconic performers to ever hit Sin City is to go see Elvis Presley’s Heartbreak Hotel. Performing at the Main Showroom within Harrah’s, Elvis Presley’s Heartbreak Hotel will fill you with hope and love as you check-in to his beloved Heartbreak Hotel. This Las Vegas Elvis show is magical with a superb tribute artist sounding and looking just like Elvis in his prime. The live band hits all the right notes during this 75-minute performance that has your eyes and ears thinking that Elvis is still alive. During the show you can expect to hear 18 of his all-time favorite songs including Blue Suede Shoes, In the Ghetto, and Suspicious Minds. When he belts out Can’t Help Falling in Love you just might tear up and your feet will hit the floor dancing during Jailhouse Rock and Hound Dog. Steve Connolly is no newbie among top Las Vegas Elvis impersonators. Watch The Spirit Of The King manifest right before your eyes. You will get immersed into the old Vegas, as you listen to the hit Elvis Presley songs, brought to life by Steve Connolly's spot-on performance. 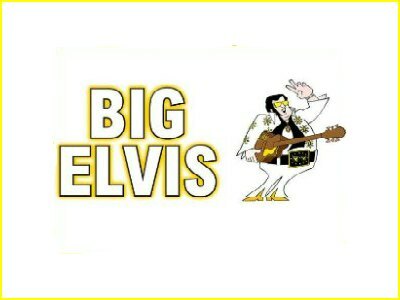 You will find out why he was named "Best Elvis in Las Vegas" by Las Vegas Review Journal. At $25 a ticket, this show at Four Queens hotel & Casino is a steal! 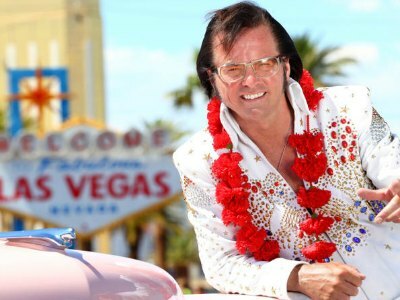 You can't get any more personal with a Las Vegas Elvis impersonator than during this private Pink Cadillac tour! Eddie, the host and the Elvis of this private party, is lively, charismatic,and puts on a great performance while driving you around The Strip and downtown Las Vegas in a head-turing 1956 Pink Caddy! Stop anywhere you want, toast a champagne, and take memorable pictures, all the while being serenaded to by the smooth-tongued Elvis/Eddie. If you have already woken up by 2:00 in the afternoon, and feel like you want some Elvis in your life, head over to the Piano Bar at Harrah's Hotel & Casino for a free music session with Pete Vallee, aka Big Elvis! Dubbed so for his impressive size, Pete Vallee is a highly talented Las Vegas Elvis impersonator, with big voice, matching his size. The best part of this FREE show is that Big Elvis takes all requests, and will perform any song by the King you can think of.